"DON'T EAT UNTIL I'VE TAKEN A PICTURE!" Yep, we've all been there. If that means your food will be cold by the time you've got the perfect shot, then so be it. God help if there is low lighting, I sure hope the person you're dining with is patient! "Rose gold and marble EVERYTHING." You don't have to be a fan but marble is a popular theme in blog photos, and I'm not surprised, it makes such gorgeous backgrounds. Rose gold and copper, well... Need I say more? It's just so darn pretty! "But you already have a lipstick in that colour?" No, nope, nuh-uh. Every lipstick is different, it's not an obsession, I promise *angel emoji*. "You could write a blog post about this!" I have reached that point in blogging where I now have friends and family (Hi mum!) suggesting posts for me to write and I kind of love it. It's nice that people are taking an interest in my life hobby and makes me proud of my little blog. "Cosy nights in, blogger style." I don't know if this is just me, but I love nothing more than snuggling under a blanket in the chilly evenings with my laptop and either writing a post, reading a post or joining in with the current blogger chats. "That wall would make for great outfit photos." Although I'm yet to delve into the world of fashion blogging, it doesn't hurt coming across trendy places that would make for aesthetically pleasing photos, even if it does mean awkwardly stopping to stare at a wall for 10 minutes. "I have to have it, I can put it on my blog!" You know exactly what I'm talking about... The buzz of excitement as you hear about a new make up range hitting the shops, or that coat you have to have. But I mean, it's for the blog right? It's totally justified! "Will there be WiFi?" As sad as it sounds, girl gotta have her WiFi! In the time you didn't have internet access, the whole blogging world could have collapsed... Ok not likely but, you see how it's a necessity. It's a common question I'm sure, but those Instagrams aren't gonna upload themselves! "So the other day one of my blogging friends told me..." Personally, I don't enjoy referring to the friends I have met through this wonderful hobby as "blogging friends", but if I was to reel off names of bloggers whilst telling a non-blogger friend something they would be like "Woah Kathryn, when did you get so popular?" Nevertheless, the blogging community is my favourite ever and I have met some of the most amazing friends through it, end of! Can you relate to any? Let me know if there are anymore clichés you can think of! Hahahaha I love the photo one, one of the last photos is always the best though I swear! I seriously talk to my friends about you lot too and they're like eh who the hell are these people?! Just nodding at all of these, you just get me Kat. Every time I go into Boots my boyfriend says something along the lines of 'You already have that colour lipstick' or 'How many eyeshadows can you need, you only have two eyes?' but he doeesn't understand. The good thing is, I've had 'internet friends' for years who have become some of my best friends so I just say that my friends online said blah blah blah. Great post lovely! Thank you, haha I really like that one... I get so many suggestions! love love love this! its sooooo true!! completely in love with your writing skills! This is too funny and so true!!! Great post! Absolutely LOVE this post. They're all so true! Love this list! I always have to check to wifi wherever I go this list is so true and made me laugh. haha dying! these are so accurate! I love the wifi one! I always ask if there is wifi so I can keep up on my twitter and instagram! rose gold everything!!! i'm such a sucker for rose gold and marble. its just too pretty. yes to ALL of these!!! Great post! Hahaha. So true! I started blogging recently too and this is all too true. I think I can relate to all of these in some way. My husband asked once why I wasn't taking a picture of a meal for my blog and moved out the way so I could. Bless him! ahahah!! 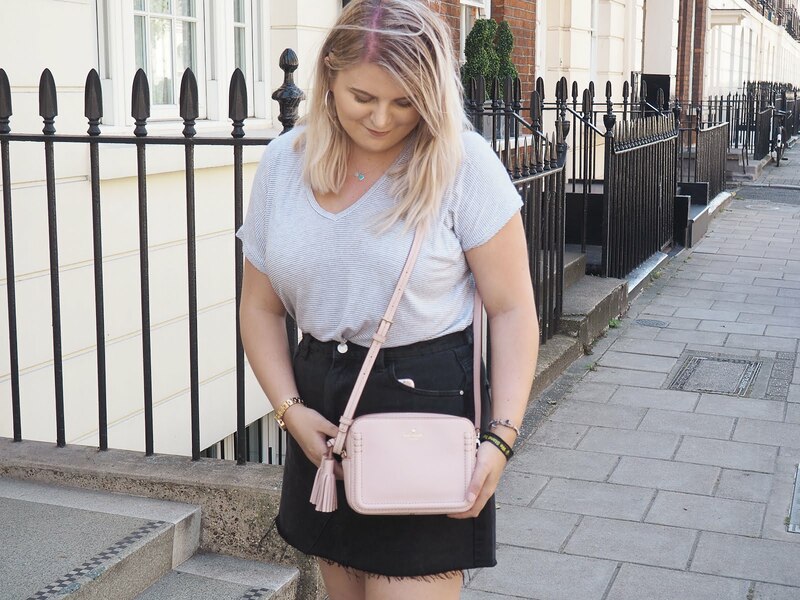 so true.. marble and rose gold are everything for us bloggers!! This was such a fun post to read. I can definitely relate on each one of them, especially the lipstick one, lol. Great post, hun! This is just perfect, literally can relate to every single one.